New homes aren’t always 100% move-in ready. Case in point: a client reached out to LOOP AVS recently for help upgrading the media room and audio video system in their new home. 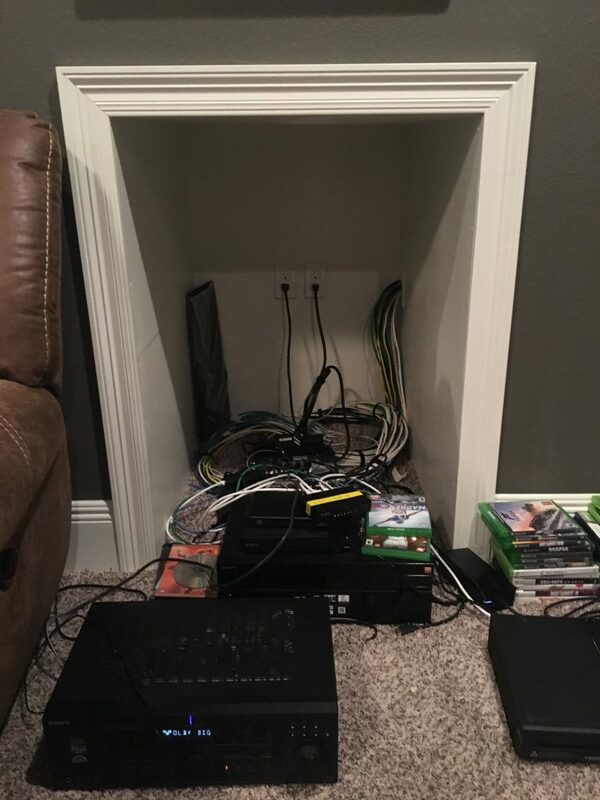 The new home’s media room was pre-equipped with a media screen, comfortable chairs, and new AV equipment – but the storage area for the equipment was completely unorganized: a mess of cables, wires and boxes shoved in a cubby. 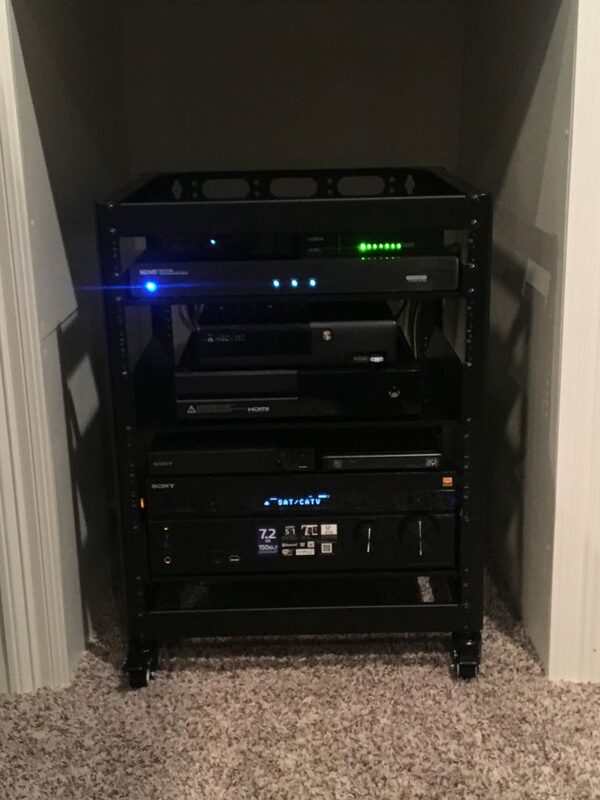 LOOP AVS installed a rack to keep the various media boxes organized – easy fix. This easy fix gives their media room a neat appearance and ensures that their media is properly wired and organized. A beautiful home deserves high-quality audio throughout. We were excited to install the 4-zone Nuvo home audio system in their kitchen, master bedroom, living room and outdoor living areas. The 4 zones can run independently, allowing a personalized music experience from room to room, or they can be set to party mode for seamless sound throughout the home. Even better – the system is easily controlled by mobile phone, or by the new 7″ touch screen control pad installed in the home. Interested in a custom AV upgrade for your home? LOOP can handle it. Contact us for a turnkey solution from start-to-finish.